Not to be thwarted by bureaucratic attempts to prevent the obvious benefits of a healthy lifestyle, Namibia Medical Care announced this week it has found a new fitness partner in the Windhoek City Runners Club. 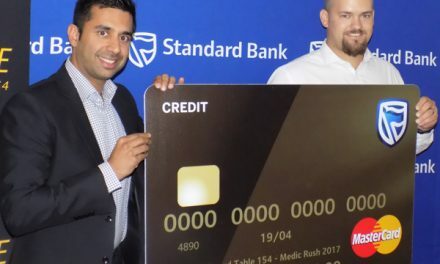 In the past, Namibia Medical Care (NMC) offered medical aid members rebates on their monthly contributions if they belonged to a gym and attended a stipulated number of training sessions. However, this was blocked by financial authorities on a legal technicality and NMC members lost both the health and the wealth benefit. In the meantime NMC’s management did not take the blow lying down, and started strategizing to find alternative channels to achieve the same result, i.e. 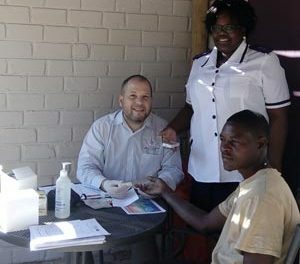 containing the ever-rising cost of medical care by promoting healthy lifestyles. This lead to NMC’s Fitness Explosion in which the Windhoek City Runners Club plays a key role. 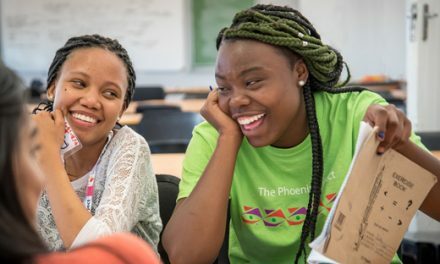 As part of the partnership, NMC is providing branded merchandise and cash to cover costs for selected social runs, the first of which is scheduled for 29 September in the Daan Viljoen nature reserve. Fitness fans can find the entry form at windhoekcityrunnersclub.com. 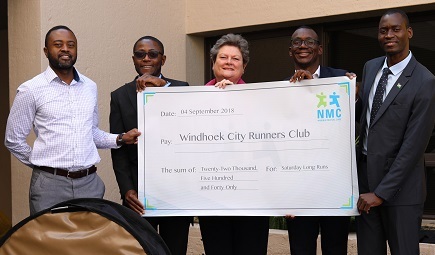 Caption: Motivating Namibians to lead a healthy life, are from the left, Ben Nandago of NMC, Paulus Ndamanomhata of Windhoek City Runners, Alison Begley, NMC’s Principal Officer; and Frans Amakali and Geoffrey Muhinda, both also of Windhoek City Runners.